Learn about the world of binary options. Should you engage in this trading activity, and if you do, how would you steer away from binary options scam, and focus on reliable providers. Though our expertise is within forex trading and currency exchange, unlike dedicated sites like this one, we felt this domain is too important to be left uncovered. And Why Are They Considered So Risky? A Binary option is a type of option where the payoff is some fixed amount or nothing. For example a $100 option with 75% payoff, will payout $175 if the trader wins and nothing if the trader makes the wrong call. When you purchase a binary option the potential return is stated before the trade is opened. It is possible to offer Binary options for almost any tradable financial product. Binary options also allow a trader go either long or short, to take a long position a trader buys a call option and to go short a trader buys a put option. Binary Options are available as both an exchange traded product and as over-the-counter non-exchange traded product. US residents are only allowed to trade Binary Options through US regulated exchanges. In Europe non-exchange traded Binary options have become very popular since a number of online platforms begun to introduce them back in 2008. In this article we are going to take a look at both exchange traded and non-exchange traded Binary options. Non-exchange traded Binary options have been available over-the-counter for a long time. Traditionally non-exchange traded Binary options were considered an exotic instrument, due to the fact that there was no marketplace for the trading these options. Binary options were only generally found within complicated option contracts. All of this began to change when in 2008, a number of online platforms started to offer a simplified version of exchange-traded options. It wasn’t long until the industry took off and it is estimated that there are over 100 different platforms offering this type of Binary options trading. Non-exchange traded Binary options have come in for a lot of criticism, part of this criticism is due to the way that the platforms make their money. The platforms do not charge their users any fees or commissions, but rather make their money acting as the counterparty to client positions. Thus the odds are skewed in the platforms favour, for a trader to make a profit they will have to predict price movement correctly at least 55% of the time. For example our trader named John believes the USD/JPY will close above 100 at the end of the day. So John then buys a $100 Call/UP option from the platform with a fixed return of 70%. If the USD/JPY is above a hundred at the end of the day, John receives a total of $170. If the USD/JPY closes below 100, then our trader will receive nothing. It should be clear that in this case the odds are skewed in the providers favour. Assuming that each event was equally likely, a fair return for the option would have been 100%. In this situation John will have to be correct around 60% of the time to make profit, giving the provider a distinct edge. Until recently non-exchange traded Binary options were largely unregulated, due the product falling into classificatory grey area. Many regulatory bodies were unsure whether the product was to be regulated as a form gaming or as a financial product as set out by MiFID. In May 2012 CySEC Cyprus’s regulator announced that they would begin to regulate the product as a financial instrument. This move made CySEC the first MiFID regulator to acknowledge Binary options as a financial product. In 2013 Malta’s Financial Services Authority followed suit taking over regulatory responsibility from the countries Lottery and Gaming commission. It remains to be seen whether other countries will start to regulate Binary options. Many consider non-exchange traded Binary options to be a form of gambling, as the provider as has a distinct advantage over its clients. This sentiment was echoed by Gordon Pape in a strongly worded article on the subject of Binary options. Exchange traded Binary Options first came on the scene back in 2007 when the Options Clearing Corporation proposed a rule change to allow exchange traded Binary options. With the SEC then approving cash-or-nothing Binary options back in 2008, this really got the ball rolling and now it is possible to trade exchange traded Binary options through a number of regulated exchanges, including the CBOE, AMEX and now NADEX (by IG, one of our recommended ECN Brokers). US financial regulation prevents off exchange option trading and thus US citizens can only trade Binary options via a regulated US exchange. Exchange traded Binary options are slightly more complicated than their non-exchange traded cousins. Our trader again believes that the USD/JPY will close above 100 at the end of the day. He then goes and buys ten cash-or-nothing Call/UP contracts for $40 apiece, costing him a total of $400. Should the USD/JPY close above 100, he will receive a total of $1000, of which a total of $600 will be profit (10 x $100 contracts – $40 x 10 contracts). If the USD/JPY had not closed above 100, John would have lost a total of $400 ($40 x 10 contracts). Those of you who followed our example trade above will have noticed that exchange traded binary options are priced differently. Instead of the option having a fixed percentage payout, each contract has a fixed payout with the price of the contract changing based on what traders are willing to pay. So if a standard $100 contract costs $40, the market believes the likelihood of that particular event to be around 40%. Unlike non-exchange binary options the exchange does act as a counterparty, but rather charges traders a commission for using the exchange. This more complicated pricing model is the real strength of exchange traded Binary options, as it allows traders to use option pricing models to calculate whether an option is over or underpriced and thus trade accordingly. Various pricing models have been adapted to cater for exchange traded Binary Options, with it being possible to use well known pricing models to calculate theoretical value of a Binary options contract. For instance spreadsheets exist which allow traders to calculate the theoretical value of Binary option contracts using the infamous Black-Scholes Model. Thus exchange traded Binary options are a far superior opportunity. Non-exchange traded binary options are skewed heavily in the providers favour and comparisons to fixed odds betting are not unjust, though it appears that a number of European regulators have decided such options are indeed a type of financial instrument. Exchange traded binary options have drawn much less attention, partly due to the fact that they are a more complicated instrument and partly due to the fact that they haven’t been as aggressively advertised. I would contend that exchange traded binary options are actually a far superior product, with plenty of potential for those interested in options trading. Binary Options have become a very popular instrument online with numerous Binary Options platforms popping up everywhere. Many new traders are attracted to the high potential returns that these simple financial instruments offer, however many critical of Binary Options have noted that the odds appear to heavily stacked in favor of the provider. Today we are going to examine, whether the odds are unfairly stacked in favor of the Options providers. Binary Option providers typically give returns substantially lower than 100%. Markets tend to trend in a particular direction meaning that market isn’t equally likely to go either way. Taking these two crucial differences into respect it becomes a lot more difficult to determine whether Binary Options as typically priced give a trader a fair shot at victory in the long run. Typically short term Binary Options offer a rate of return of around 70%, which means in order to have neutral expected value a trader would have to predict the market accurately around 58-60% of the time. This means that a trader would have to predict price movement with 58-60% accuracy just in order not to lose any money. If either outcome was just as likely it is clear that the trader would be getting a raw deal and we could expect him to eventually lose all his cash to Binary Options brokerage. It does however appear that Binary Options could be profitable for those who could predict the market with a 60% degree of accuracy. It should be pointed out that not many trading systems can make sure term price predictions with that kind of degree of accuracy, many traditional trading systems are much less reliable but overcome their unreliability through proper risk management. For instance many Forex systems can be profitable while only correctly predicting market action 30% of the time. As a fixed-return option contract Binary Options don’t allow for this kind of risk management. If you were only able to predict price movement to a 30% degree of accuracy, you would be a significant loser trading Binary Options. In the MonteCarlo simulation I ran above it took 22 trades to bust the trader. Binary Options do appear to have the potential to be profitable for those who are able to predict the markets with a very high degree of accuracy. Anyone who can reliably predict market price action with a degree of accuracy in excess of 60%, can expect to make a profit from trading Binary Options. However the number of people/systems which will be able to accurately determine price movement with such a degree of accuracy is likely to be extremely limited. I also believe that statistical variance could potentially lead to many people believing they have determined a highly accurate way to call the markets, before realizing that they have in fact just had a prolonged lucky run. As Binary Options brokerages operate as a counter party to a trader and there is no way to hedge positions, it is unsurprising that the product is setup in such a way which makes it unlikely for individual traders to beat the provider in the long run. While I wouldn’t go as far as to deny that some individuals will be able to make money trading binary options, I would strongly advise that individuals take a serious look at whether they can really predict market price action with such a high degree of accuracy. If so, then you may just have a real shot at making money from Binary Options trading. Binary Options Brokers or Is It Scam? We cannot conclude that Binary Options per se are scam. Definitely not Nadex by IG which is the a binary exchange also regulated by the USA authorities, and possibility there are other good binary options brokers out there. The problem is that we have difficulties finding them. There are Forex brokers who also offer binary options on top, but most of them are not well-ranked in this website (for instance, Vantage FX and 24FX). We are on the lookout for additional reliable binary options websites and we shall be adding additional companies to this soon. Binary Options History – How Did Trend Emerge? Since their introduction back in 2008, Binary Options have risen quickly to prominence and are often marketed as the easiest way for the average joe to trade the financial markets. This rise of prominence is likely down to couple of different factors, firstly the Binary Options industry has fully embraced the affiliate marketing model and has offered those willing to promote their services handsome rewards. Secondly, Binary Options appeal to a new demographic who see traditional Forex or Share trading as too complex yet still want a way to make money from trading the financial markets. There is quite a lot of confusion surrounding Binary Options, this is in part due to the fact that there exist both Binary Options as offered by online platforms such as Banc De Binary and there are exchange traded versions offered by Nadex. This article is going to focus on Binary Options as offered by online platforms such Banc De Binary, GTOptions and, 24 Options. Prior to the introduction of these platforms, Binary Options were seen as exotic instrument due to the fact there was no market for the trading of these over the counter instruments. It was common to find these Options embedded into an options contract and these Options were normally only purchased by extremely sophisticated buyers. It was not until 2008 that Binary Options became more firmly established in the public psyche, with a number of online web platforms offering the ability to trade Binary Options. The Binary Options as offered by these platforms were essentially just a simplified version of traditional exchange traded Binaries. The number of platforms operating quickly proliferated with it being estimated that by early 2012, there were over 90 of these such platforms operating. Part of the reason why the industry grew at such an astonishing rate was that the product was skewed heavily in the houses favor, with Binary Options being a very profitable instrument to offer. Cyprus’s domestic financial regulator CySEC has released a list announcing the firms which have been granted CySEC licence between June and September of this year. During this period a total of 12 firms have been granted licences, with the majority of these firms being Binary Option brokers. During the first few months of 2013, a total of 17 firms gained new CySEC licences and this recent announcement shows that the island of Cyprus remains a popular destination for both Forex and Binary Option brokerages. Rodeler Limited – Binary Options firm currently trading as ZoneOptions. FT Traderworld Ltd – Binary Options brand currently trading as TraderWorld. 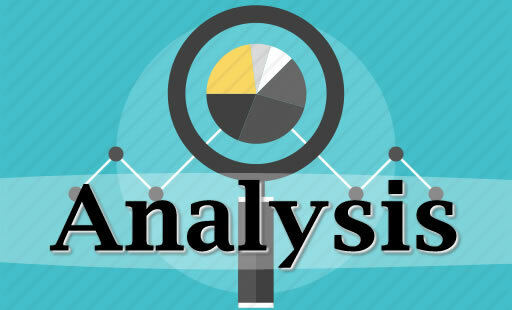 Cbay Financial Services Ltd – The company behind the well known Binary Options brand 24Options. Trendoks Ltd – Multi-platform Forex brokerage who offer cTrader, MT4 & 5 as well as Margin Pro. T.B.S.F Best Strategy Finance Limited. – The company behind the well known Binary Options brand Cedar Finance. B.O Tradefinancials Ltd. – Binary Options broker operating under the trading name of OptionFair. Cyprus and Malta are currently the only two EU countries to regulate off-exchange Binary Options, despite the fact the European Commissions opinion that off-exchange Binary Options are a financial instrument and thus fall under MiFID. Recently European countries have begun cracking down on the operations of unregulated Binary Options firms with Italian Courts IP blocking a number of firms, these moves have led to increasing number firms seeking to be regulated within the European Union. In 2012 Cyprus’s CySEC became the first regulator to oversee Binary Options and has become the prime destination for Binary Option brokers seeking to become regulated. Cyprus has become the popular destination for financial services firms due to the countries membership of the European Union and the favourable tax situation. This latest announcement from CySEC demonstrates that the Island is likely to remain one of the most popular destination for both Forex and Binary Option brokerages. More recently Malta’s MFSA followed the lead of CySEC and became the second EU regulator to classify off-exchange Binary Options as a financial instrument. Prior to this decision regulation of Binary Option firms was overseen by the countries Lottery and Gaming Commission. However Binary Option firms have been far more keen on Cyprus as an operating base, with firms seem to be reluctant to base their operations in Malta. Whether other European Regulators decide to follow suit and decide to regulate Binary Options remains to be seen. Techfinanicals one of the leading providers of Binary and exotic options technology providing the technology that powers well known Binary option platforms including 24Options and others. Have just come out with an announcement regarding their launch of all in one Forex and Binary Options platform. The new platform powered by Techfinancials will give Binary Option brokerages the ability to offer traditional Forex trading alongside their already established binary options offering. According to representatives from Techfinancials this new development will be released alongside a comprehensive portfolio of superior design layouts and skins, which can be used to cater to each operators individual taste and target market. It appears that many think there is a natural progression from Binary Options to Forex trading, with clients eventually make the move from the trading of Binary Options to the trading OTC Forex. The introduction of a built in Forex platform allows these Binary Options brokerages to capture these clients Forex trading business as well and such an all in one platform appears to provide brokerages with a strong selling point. While there are already integrated Forex and Binary option solutions, such as IG Groups offering and a number of MT4 plugins which allow for Forex brokerages to offer Binary Options. The launch by Techfinancials leads them to becoming the first Binary Options technology provider to offer an all in one solution. Many now expect a strong trend to emerge with Binary Option providers clamoring to offer Forex and more trading products to their clients. Initially, it was thought that the trend would run the other way with Forex brokerages offering their own Binary Options platform. While this has been partly true, for instance SafeCap Investments launched their own Binary Options brand TopOption. The expected growth of Forex brokerages offering Binary Options never quite materialized. With some of the leading Binary Options providers growing at a decent rate, it appears that Binary Options providers are ready to start directly competing with the already established Forex brokerages. It has been a month since it was announced that Banc De Binary, was on the receiving end of legal action from both the CTFC and SEC for allegedly soliciting US customers. In the United States of America off-exchange option trading is illegal, with only regulated exchanges being able to offer options to customers. If Banc De Binary had in fact engaged in the solicitation of US citizens, it is clear that the firm would have been in breach of US regulation. Banc De Binary have been totally silent on the matter until now. The companies CEO Oren Laurent, today issued a statement to ForexMagnates to clarify the firms position on the matter. 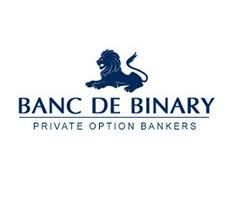 The website reports that according to the statement released by the firm, Banc De Binary is discontinuing all business activity in the United States of its own accord and further states that both the CTFC and SEC have confirmed that Banc De Binary is not able to offer its products to US citizens without the appropriate financial regulation. In order to be permitted to operate in the United States transactions would have to be undertaken via an exchange. The statement went on to state that the firm is currently in negotiations with both regulators, but clearly states that the firm will not be advertising to or taking on US customers for the time being. The statement rather interestingly makes no mention of the current regulatory lawsuit against the firm. The firm seeks to cease US trading accounts and return funds in full to customers, minus unfulfilled bonuses. It is interesting that the statement released by the firm makes no statement regarding the current ongoing US lawsuits. The investigation by the CTFC cites that Banc De Binary, allowed US citizens to trade on their platform from May 2011 until March 2013. So it will be interesting to see whether the ongoing discussions with the US regulatory authorities will be enough to appease US authorities and lead to the retraction of the aforementioned lawsuits or lesser penalties. It has been speculated that a number of Binary Option platform providers are working on a separate platform for the American marketplace. These platforms would feature on-exchange integration and it has been reported that a number of firms are in negotiations with the US regulators regarding such a bridge. This solution would lead to the binary trade being placed through a regulated exchange, rather than as a bet against a firms risk management division. Whether a solution is found remains to be seen, with NADEX currently being the only exchange to offer Binary options in the US. CySEC regulated Banc de Binary has been on the receiving end of a civil suit launched by CTFC. The US Commodities Futures Commission has alleged that Banc de Binary had been acting contrary to US regulation by allowing US traders to trade through their Binary Options platform. In the suit which was filed in Nevada the CTFC alleges that from May 2011 until March 2013, Banc De Binary allowed US customers to trade option products. It is well known that US regulation prohibits the trading of off exchange options, leading to the rise of exchanges such as Nadex which allow for the regulated trading of Binary Options. The CTFC has further alleged that Banc de Binary also failed to limit its option offerings to eligible market participants. This essentially means that Banc de Binary failed to collect any information in regards to their clients net worth and trading experience, again this is required by US regulations as a customer protection measure. It also appears that the CTFC also took issue with Banc de Binary listing a Wall Street office on their website, which is again something the US regulators take a dim view of. Banc de Binary isn’t the first European regulated entity to have been in the CTFC’s firing line, with 2012 seeing 25 Forex brokerages getting in trouble for soliciting US customers. Not all of the 25 firms listed on the CTFC’s list back in 2012 received a fine with a number of brokerages being able to avoid any sort of monetary fine. However it appears this will not be the case in this particular instance with the CTFC seeking restitution, disgorgement, and rescission as well as injunction preventing Banc de Binary from operating in the US. It thus appears that the CTFC wants to go further than with the brokerages that were fined last year, with it appearing that the CTFC wants to award a heavy fine as well an ensure the return of profits made from accepting US customers. The CTFC acknowledged CySEC and the FCA in assisting in the investigation. If the ruling does go against Banc de Binary, it will be interesting to see whether the European regulators will co-operate with the CTFC and enforce whatever penalties are assessed necessary by the US authorities. We very recently posted how the CTFC was undertaking civil action against well known Binary Options brokerage Banc de Binary, for what they believe to be a number of regulatory transgressions committed by the firm. Well now the SEC (Securities and Exchange Comission) who are responsible for regulating and overseeing trading activity on US based exchanges, have followed suit by issuing a further warning to investors regarding what it believes to be the risk associated with such off-exchange Binary products. While also announcing its intention to prosecute Banc de Binary for the same transgressions as alleged by the CTFC in its Nevada civil suit. According to the SEC’s complaint against Banc de Binary, the company began offering off exchange Binary products to American customers in 2010. With Banc de Binary allegedly inducing US customers to create accounts with the firm and deposit money into those accounts, in order to trade off-exchange options which violates US regulatory law. They added that Banc De Binary’s solicitation of US customers was quite successful and attracted a number of customers with very limited means. Citing one investor who had a monthly income of only $300 and a net worth less than $25,000, and another customer who was encouraged to deposit more funds into his account even after he had informed Banc de Binary that he was unemployed with less than a $1,000 in his checking account. This again is counter to US regulation which requires firms only offer option instruments to clients who count as eligible market participants. The SEC is seeking disgorgement plus prejudgment interest, financial penalties, and other preliminary and permanent injunctions against CySEC regulated Banc de Binary. If the SEC is successful this means that Banc de Binary will likely be faced with heavy fines and may be forced to hand over any profits made from the solicitation of US clients. It is perfectly legal to trade Binary Options in America provided the trading is done through a regulated exchange such as NADEX (North American Derivatives Exchange) which is owned by the IG Group. Malta’s Financial Services Authority, has today made the announcement that they are going to categorize Binary options as a financial instrument in accordance with the EU’s Markets In Financial Instruments Directive (MiFID). Malta’s financial regulators aren’t the first European regulator to recognize Binary Options as a financial instrument, with CySEC taking action to regulate the instrument back in 2012. Other global regulators have also taken action in regards to Binary options, recently the Japanese FSA took tough action to regulate Binary options. Binary option platform providers have been quick to respond and have begun to provide Japanese complaint versions of their trading platforms. It seems to be clear that global regulators are taking action to regulate this form of financial trading and Malta’s announcement is another step in that direction. Prior to today’s announcement by Malta’s Financial Services Authority, Binary option providers were able to be regulation as a gaming provider by Malta’s Lottery and Gaming Authority. A number of Binary option providers, including OneTwoTrade took this particular route. However, this announcement sees the end of this arrangement with responsibility being transferred away from the countries gaming authority. Binary Option brokers will be required to gain a Category 3 Investment Services licence, with all Binary Option brokerages will be subject to the minimum capital requirement of 730,000 Euros as set out under MiFID. Every company licensed in the jurisdiction will be subject on and off-site compliance. Whether brokerages who sought gaming regulation decide to stay in the jurisdiction remains to be seen, with many brokerages opting for the jurisdiction due to the reduced costs associated with gaining a gaming licence. With the capital requirements set out by MiFID being a major barrier to entry for many binary option firms. CySEC’s move to regulate Binary options back in 2012 saw a number of firms seeking a CySEC licence. With Malta being the second European jurisdiction to regulate the industry, such a surge in regulatory applications seems unlikely. Whether other European regulators follow suit remains to be seen. Binary Options brokerage TDOptions the trading name of TDO Consulting Ltd. has been fined a total of €50,000 by CySEC for offering investment services from Cyprus without having the necessary investment firm licence as required by Cypriot law. The announcement on the CySEC website suggested that TDO Consulting had been offering investment services from Cyprus up until the 3rd of December. Back in May 2012, CySEC became the first European Union regulatory to start regulating over-the-counter Binary Option products. All Binary Options providers operating from Cyprus were then required to apply for a licence in the preceding five months or face potential action by the regulators. I believe that TDOptions are the first Binary Options firm to be have been fined in such a manner since the announcement of the regulatory changes made back in May 2012. Cyprus has since become a magnet for financial services firms attracted by the low rates of corporation tax and the tool of financial services talent located on the island. Up until the May 2012 announcement regarding the announcement of Binary Options regulation, Cyprus had become the number one destination for those running Binary Option platforms. Since the regulatory changes a number of platforms moved their operations from the Island, however Cyprus can boast a number of regulated Binary Option brands including an not limited to TopOption, Banc de Binary and SpotOption the biggest white label provider of Binary options solutions. It will be interesting to see whether CySEC takes further action against Binary Option platforms operating from the Island after the deadline for licence applications. Binary Options regulation is a relatively new thing and it will be interesting to see how the landscape develops and whether any other European regulators begin to follow the suit of CySEC. Recently, CySEC regulated Banc de Binary was sanctioned by US regulatory authorities for operating in the United States without the proper authorization. With it being reported that other Binary Option providers were also operating within the United States, it will be interesting to see whether the US regulators take any further action against other firms. In any case expect to hear more developments in regards to Binary Options regulations. For the past few hours there have been numerous rumors regarding the future of CySEC regulated Binary Options brokerage iOption. According to reports in certain media outlets the firm has let go off its entire operating staff and is now closed for business. These reports seem to have been confirmed by those who have business relationships with the Binary Options brokerage with Forex affiliate network FXPN getting into contact with its affiliates and informing them that the firm is indeed ceasing to operate. iOption is thought to be one of the largest Binary Options brands and had recently acquired a full CySEC licence allowing the firm to operate across countries in the European Economic Area, so to many that this will come as quite a surprise. There is currently no clear indication regarding why the firm is ceasing operations but some sources have stated that employees have not been paid since the beginning of October. For those who have accounts with the firm the future seems rather uncertain, with the brokerage making no indication regarding what will happen to funds deposited into client accounts. The situation is particularly precarious as iOption only recently gained a CySEC licence and it remains clear whether client funds will be protected by the countries Investors Compensation Scheme. Only as the situation develops will we begin to understand how the shutdown of iOption will affect the firms existing clients. For those involved in the Binary Options, the shutdown of iOption is unlikely to be taken as a positive sign, with many already holding a poor opinion regarding Binary Options as product. In the last couple of years the industry has begun to clean up its image, with CySEC and Malta’s MSFA recently making moves to regulate the product as a financial instrument. The news that a major Binary Options firm has shut down is likely to further ingrain the products image problem. Since 2008, the Binary Options industry has enjoyed incredible growth with a huge number of brokerages opening up shop to cater to those interested in the easy to use financial product. The fact that iOption has ceased trading might be an indication that the industry is reaching maturity and it wouldn’t surprise me if more Brokerages begun to shut up shop, as the huge expansion in the number of brokerages offering the product has never seen sustainable. Check back for updates regarding the iOption situation. An announcement made on CySEC’s official website has confirmed that WGM Services Ltd has regained their CIF License. WGM Services Ltd, is best known for operating the relatively high profile Binary Options brand EZTrader. The company also operates a number of less well known brands including EZInvest, GlobalOption.com and 888Binary.com which specifically targets the Chinese market. The decision to restore EZTrader’s CySEC license was made during the regulators meeting on the 22nd of December. The decision highlighted the fact that the broker was now in fully compliant with CIF (Cypriot Investment Firm) regulations. In an announcement made on the 20th of November 2014, the regulator had announced that WGM Services license had been suspended, due suspected breaches violations of Cypriot security laws. The three alleged violations were in regard the safeguarding of client funds, the capital adequacy of the firm and the CIF’s large exposure. No specifics were given regarding the withdrawal of the license and meant that the firm could not provide any investment services as pursuant to Cypriot Securities Law and was forced to close all client positions and return all profits/funds if the client wished. At the time the Binary Options brokerage was given 15 days to comply with the decision. After a due diligence procedure was completed by WSM Services Ltd, the concerns originally raised by CySEC were fully addressed leading to the company regaining it’s CIF License. This meant the brands run by WSM Services could resume providing investment services as pursuant to the country’s securities law. Cypriot regulator CySEC made waves when in YEAR, it became the first European regulator to regulate non-exchange traded Binary Options as financial products. This has led to the island becoming a hub for Binary Options brokerages who wish to gain a regulatory license which adds credibility to their brand(s) and allows them to offer their services to those residing within the European Economic Area. This is due to the fact that European law allows for investment services firms regulated in one European Economic Area jurisdiction to offer their services to those based anywhere else within the economic area. CySEC has recieved a fair bit of critcism for it’s decision to regulate Binary Options, as a financial product with many seeing the product more akin to fixed odds betting. In fact in a number of jurisdictions around the world, Binary Options are seen as a form of gambling and are regulated accordingly. Other European regulators have been slow to follow CySEC’s president regarding Binary Options, with only Malta’s MSFA following suit. Cyprus still however remains the number one destination for Binary Option companies looking to gain regulatory approval and the extra credibility which comes with it. Our friends at the most respectable forex site in the world (forex peace army) have rated this cmopany (EZTrader.com) as 1.35 / 5. Be warned. These kinds of online Binary Options have been widely criticized, as it became clear that the products were generally skewed heavily in favor of the house. Using Monte Carlo simulations it can be shown that in order to make a profit from Options which offer a 70% rate of return, one must accurately predict price movement with a 55% or greater degree of accuracy. Being able to predict price movement with a 55% degree of accuracy is actually much more difficult than it sounds. For instance many Forex systems only win around 30% of their trades but still manage to make significant profits by engaging in good risk management, essentially running with the profitable trades and cutting the losses short quickly. Binary Options however require the trader to be able to predict price movement with a high degree of accuracy and while I’m sure a limited number of individuals can predict price movement with such accuracy, I’m sure its beyond many traders. Another problem regarding Options as offered by these online platform providers, is that for the majority of their history they have operated completely unregulated. Initially, a number of European financial regulators came out with statements saying that Binary Options were not under the remit of MiFID as they were strictly speaking not financial instruments. CySEC who initially released such a statement became the first European regulatory authority to regulate Binary Options. This led to White Label platform provider SpotOption to become the first company to be regulated on the basis of offering Binary Options. Soon after SafeCap Investments Ltd. who already held a full CySEC licence launched their TopOption platform. Shortly followed by Banc De Binary who gained CySEC regulation in early 2013. However many firms still operate completely unregulated often operating from offshore centers such as Belize and British Virgin Islands. This has left a sour taste in the mouths of some traders who have felt mistreated by some of the unregulated providers still operating in the market place. In early 2013 the European Commission ruled that Binary Options did fall under the definition of a financial instrument as laid out by MiFID, meaning that Binary Option providers looking to operate within the European Union would be required to gain financial regulation. However regulators have been slow to act and there are still plenty of Binary Option providers operating illegally within the European Union. Steps are being made to combat unregulated brokerages, a court ruling in Italy recently forced Italian ISP’s to block a number of Binary Option websites who had been operating in Italy unregulated. Previously in 2012 a number of Binary Option brokerages were blocked by Turkish ISP’s on the basis of alleged criminal activities being undertaken by the firms. It thus seems that something is finally being done about rogue operators within the Binary Options world, though questions still remain regarding whether is product worth using with many feeling Binary Options are inferior to both Contracts for Difference and financial spread bets. Since they emerged on the trading scene back in 2008, over-the-counter Binary Options in the form offered by well known brands such as 24Options and Banc De Binary have received a lot of attention. It wasn’t quick until the negative press regarding these off exchange Binary Options providers began to mount up, with a number of rogue operators taking advantage of customers who had signed up to trade. Binary Options also received a significant amount of criticism as a product with many stating that these so called Options were no more than fixed odd financial bets in disguise. This criticism has been widespread with articles in major publications comparing Binary Options to gambling. Unlike with other forms of financial trading, Binary Option brokers can only turn a profit if the majority of those betting on a particular market lose. Binary Option brokers price the Options using a formula which monitors the amount of money placed on a particular market and calculates odds which should see the brokerage turn a profit regardless of the outcome. This model is very similar to the one used by traditional bookmakers when they take bets on sports. When taking bets on a football game a bookmaker, will initially price the market in way in which they profit regardless of the outcome of the game. If a lot of money is placed on one particular outcome the bookmaker adjusts the odds to partially cover their risk. The business model used by Binary Option brokers is remarkably similar to the one used by traditional bookmakers and it is no surprise that Binary Options are often considered a form of gambling. Another reason why Binary Options are often considered a form of gambling is that the company offering these options, always prices the options in a way which gives them a distinct advantage. Binary Option providers tend to offer returns of around 75%, which gives them a significant edge over their customers. This means that customers have to correctly guess which way the market is going to move around 65% of the time in order to just break even. While I’m sure that there are some people that can overcome this significant disadvantage, the majority of people who try their at hand at Binary Options are going to come out losers. One other reason is commonly cited to why Binary Options should be considered a form of gambling. The majority of Binary brokers primarily offer very short term Options, with many trades lasting no more than a minute. 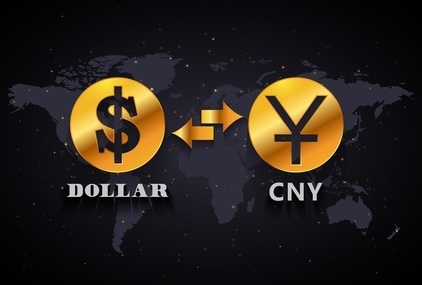 Some have said that this makes even more difficult for those trading Binary Options as it can be extremely difficult to predict such short term price movements, this combined with the fact that the Binary Option broker having such a significant edge means it’s unlikely for those trading Binaries to ever turn a profit. Binary Options: Is It Trading? Some insist that Binary Options can be differentiated from gambling and should be considered a form of financial trading. For one it is the opinion of the European Commission that Binary Options are in-fact a financial instrument as defined in the Markets in Financial Instruments Directive. Despite the opinion the European commission, only two European countries have classified Binary Options as being a financial instrument. It is true that the decision by Cyprus and Malta to regulate the Binary industry did give the product more legitimacy in the eyes of many. Some also believe that Binary Options should not be considered a form of gambling, as it is possible for skilled Binary traders to beat brokers despite the latter’s significant statistical advantage. There also people that prey on the grand bonuses offered by Binary Options brokers, similarly to casino bonus hunters who abuse the large welcome bonus some casinos offer. It certainly seems that some have been able to profit from Binary Options, but industry statistics suggests that average customer loses around $1,200 before giving up Binary trading. Which strongly suggests that the average Binary trader comes out a significant loser, which isn’t surprising considering the advantage which brokers posses. Binary Option brokers operate in a way similar to bookmakers, making profit only when the majority of their customers lose money. This combined with the fact that Binary Option providers have a significant edge over their customers has led many to compare Binary trading with gambling. Despite this some insist that Binary Options are not a form of gambling, but are instead a legitimate form of financial trading, however these arguments aren’t particular convincing. It does certainly seem that Binary Options are comparable to gambling in a significant number of ways and it is for this reason they have received a lot of criticism as trading instrument. Since their launch in 2008 off-exchange traded Binary options have grown massively in popularity, while the take up of their exchanged traded counterparts has been much slower. The phenomenal growth of the Binary industry has been fuelled by aggressive marketing focusing on the ease of Binary Options trading and how traders can make impressive returns within the space of a minute. Some have suggested that Binary options may slowly erode the dominance of Spot Forex trading. In this article we are going to take a look at some of the pros and cons of both Binary Options and Spot Forex as financial instruments. Easy to understand: Binary Options are very easy to trade. Traders simply find the instrument they want to trade and then make a decision regarding whether the price of the instrument is going to rise or fall over the selected time period. High Payouts: Part of the recent growth of the Binary industry is that brokers aggressively advertise impressive returns often in excess of 70%+. Those trading Binary Options can potentially make a 70% return. Poorly regulated industry: Currently only Malta and Cyprus regulate Binary Options as financial instruments. While this is a start in the right direction many feel that Binary Options aren’t really a financial instrument and should be categorised as a form gambling. Odds Stacked In the houses favour: While a 70%+ return on an short term option may sound great when you drill down into it, the firm offering the option has the odds stacked in its favour. 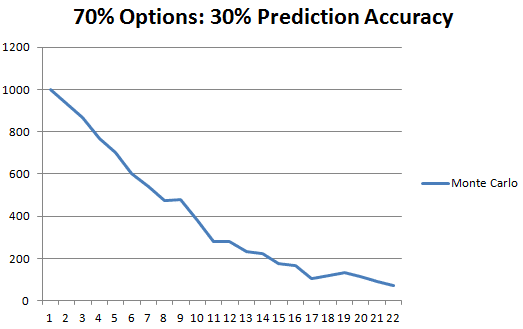 Traders have to on average predict price movements with 60%+ degree of accuracy to simply breakeven. Anyone with trading experience will tell you that this is extremely difficult. Firms Profit off client loses: The interests of the firm aren’t aligned with the customer. As there is no market for the trading of these options firms can’t hedge positions and only profit when the client loses. This is not the case with Forex brokers that do not operate dealing desks, meaning that interest of the client and brokerage are perfectly aligned. Heavily Regulated Environment: While there are still numerous brokerages that operate completely unregulated in many jurisdictions Spot Forex is heavily regulated. In European Union Forex falls under the EU’s MiFID legislation which ensures a minimum standard of financial regulation. Those who do their research will be able to choose between a range of highly regulated and reputable brokerages. Client and Brokerage Interests Better Aligned: True ECN and STP Brokerages profit from volume placed through the brokerage rather than from clients losing money. This means STP and ECN brokerages ultimately want clients to profit to ensure they continue to receive trading volume. Even Market Makers can profit from successful clients if they do everything correctly from a risk management and hedging point of view. Leverage: Traders can take advantage of significant amounts of leverage. This allows traders to take on much bigger positions than they would otherwise be able too. This can help traders maximise potential profits though leverage can also work against a trader. Complex compared to Binary Options: Spot Forex trading is much more complicated and those new to financial trading will face a steep learning curve. Pips, Lots and leverage will all be new to those who don’t have prior knowledge of the Foreign exchange market. This is a significant barrier to entry to many who want to simply make money from financial markets without taking the time to learn the ins and outs of trading. Many consider Binary Options as a poor product with some likening Binary trading to gambling. This comparison is not unreasonable with Binary Option firms profiting from client losses in a similar way to how bookmakers profit from their clients. This creates a clear conflict of interest as it is in the brokerages interest for clients to lose, combined with a lax regulatory environment has led to the industry gaining a bad reputation. In my opinion, Spot Forex is a superior product and those who are interested in trading financial markets should certainly look into Forex as one option. Of course all forms of financial trading involve significant risk and individuals seek independent advice to determine whether trading is for them. Ever since the first FX social trading products were launched back in 2008, the growth of social trading has been extraordinary with a large number of products being launched to compete with industry pioneers such as eToro and ZuluTrade. 2008 was also the year which saw the launch of non-exchange traded Binary Options, a controversial but highly popular new financial product. The Binary Option industry has come a long way since 2008, with the product now being available via regulated providers in both Malta and Cyprus. It is only recently, in 2014 that the Binary Options industry has started to look towards offering social trading products for those trading these non-exchange traded Binary Options. Whether Binary Social Trading will gain anywhere near the same level of popularity remains to be seen and their appears to a number of factors which preclude Binary Options being paired up successfully with social trading. While Binary Options are considered by many to be a financial product (including CySEC and the MSFA) they share a lot in common with fixed odd betting. Traders are given two choices, whether an asset will rise in value or depreciate over a certain time frame. Traders then choose an amount to stake on their decision with the opportunity to receive a fixed return should they correctly guess the price direction of the relevant asset. This essentially means that the Binary Option brokerage loses should the trader win, and only profit if a trader loses money. Overall, Binary brokers tend to be wildly profitable as the majority speculating using the instrument lose out and it’s possible to change the odds to make more difficult for those who were successful to turn a profit in the long run. Social trading sees traders automatically copy the moves of the most successful traders, the idea being that even those without the necessary skills and ability will be able to profit from the financial markets. It often doesn’t work out like this with many users having a negative experience with social trading. 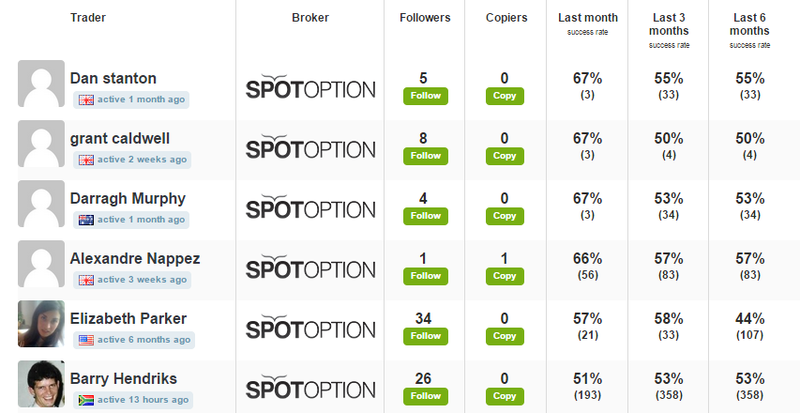 But many of the best signal providers on the larger social trading networks have acquired hundreds of live followers who automatically copy their trades. This doesn’t necessarily pose a problem when it comes to FX, as brokerages often turn a profit by widening the spread or charging commission which allows them to remain profitable even if their traders make money. Binary Option providers however depend on traders losing in order to make a profit, so a large number of traders making the same successful trades presents a significant risk management problem. It is not immediately apparent how Binary Options providers can deal with this risk management problem without dramatically slashing the odds when a large number of traders start taking up similar positions. This approach would simply significantly reduce the appeal of Binary Options whose appeal lies mainly in the high returns aggressively advertised to prospective traders. Despite these significant problems a number of social trading products have been developed which aim to bring social/copy trading to the world of Binary Options. Launched in 2008, ZuluTrade has become one of the leading copy trading venues online with over 30,000 signal providers offering their signals to those wishing to automatically trade the FX markets. In 2014, ZuluTrade announced an exclusive partnership with SpotOption the leading provider of White Label Binary Option solutions. This will allow ZuluTrade users to copy the trades of leading Binary signal providers and have these trades executed with any SpotOption powered Binary Broker which decides to integrate with the ZuluTrade platform. At the time of writing, 12 Binary Options providers were offering integration with the ZuluTrade platform, representing a small percentage of providers using the SpotOption White Label Solution. ForexMagnates covered the launch of the product, and commentators raised a number of questions regarding how risk would be adequately managed in order to prevent large broker loses. There has been no official answer regarding this particular question, which means it still remains to be seen how option providers will manage their risks in regards to social trading. Almost immediately a number of successful Binary Option Signal Providers popped up on ZuluTrade offering signals for those looking to engage in Binary copy trading. At the time of writing it appeared that the vast majority of signal providers were providing signals using demo accounts and the top ranked signal provider on ZuluTrade had 0 Live Followers. It remains to be seen how successful the Binary Options product from ZuluTrade will be both with brokers and traders alike. Trade4.me, is a Binary Options Social Trading network which was in public BETA at the time of writing. The network allows traders to share their Binary signals with other traders who then copy the trades into their own accounts at a number of supported brokerages. Again the majority of supported brokerages appear to SpotOption, though from the forums it seems that the company is attempting to add a number of non SpotOption platforms to the network. At the time of writing the network had under 2,000 users, with some of the better traders on the leader board posting reasonable returns over a relatively long term period. It is not clear how the network is monetized though it appears that Trade4.me is remunerated based on business brought to the supported Binary Option brokers. Again the, Trade4.me product is still in its infancy and it’s hard to draw any solid conclusions at this time. Binary Options Social/Copy trading is very much in it’s infancy, and it is still not clear how Binary Option brokerages would deal with the risks involved in having a huge number of traders enter into the similar positions should any Signal Providers gain a significant amount of notoriety. It also remains to seen whether there is significant demand from traders for such products.